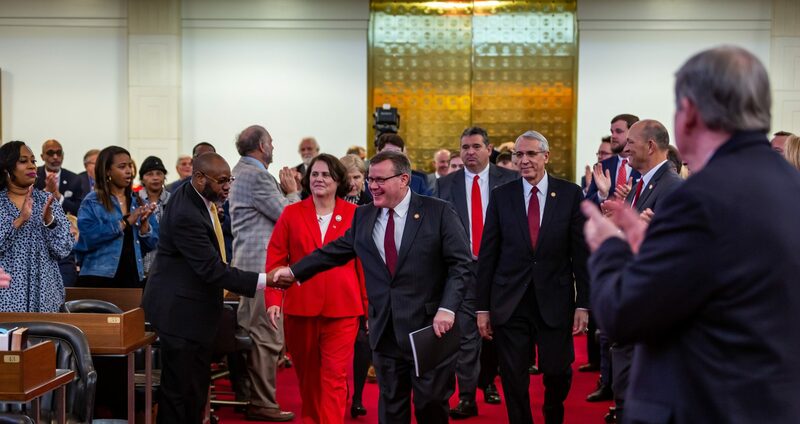 Raleigh, N.C. – North Carolina House and Senate leaders on Monday evening announced their agreement on adjustments to the current two-year state budget. As a result of Republicans’ pro-growth economic policies, North Carolina has its fourth consecutive revenue surplus this year, enabling lawmakers to make targeted adjustments to the biennial budget passed last year in order to address critical needs and fund key priorities. Those adjustments bring the total budget to $23.917 billion – a nearly four percent increase over last year’s plan – and keep lawmakers’ commitment to deliver a fifth consecutive teacher pay raise while providing additional tax relief to hardworking families and job-creating businesses. Along with investing close to $700 million additional dollars in public education, the budget provides an average 6.5 percent pay raise for teachers and a 6.9 percent increase to the principal salary schedule. It includes new initiatives to help keep students safe in North Carolina classrooms and sets aside $241 million in lottery funding to build or upgrade school facilities. In addition to providing a $1.5 billion tax cut that will result in 99 percent of taxpayers either paying less or paying no state personal income taxes at all, the budget sets aside an additional $60 million to help victims of Hurricane Matthew rebuild. 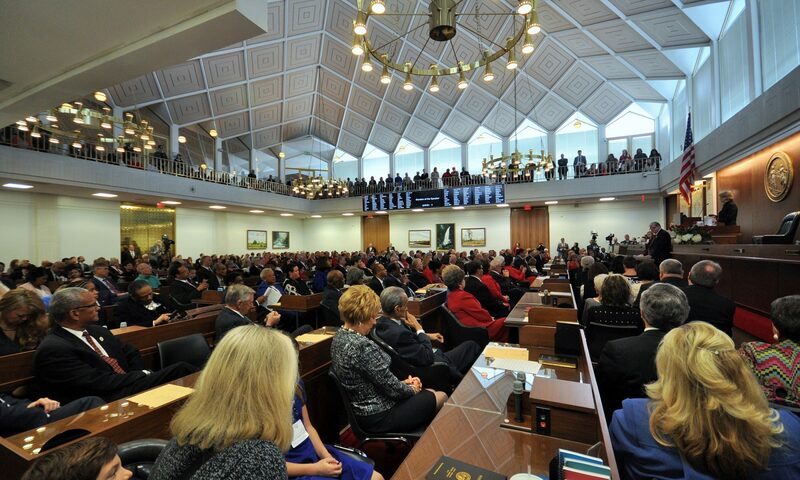 It adds $161 million to the state’s rainy day fund, which lawmakers have built to a historic high of $2 billion to ensure North Carolina is well-prepared for the next natural disaster or economic downturn. It also directs more than $200 million toward compensation increases to state employees, including a two percent permanent pay raise for most state workers and larger increases for State Highway Patrol troopers and correctional officers. And it ensures the minimum salary for all permanent, full-time state employees will be at least $31,200. Finally, it includes provisions to ensure access to clean water for North Carolinians affected by GenX pollution, along with key changes to economic development programs that are expected to secure thousands of new jobs and billions in new investment to the state. Provides an average 6.5 percent pay raise for teachers, which will bring the average increase to teachers’ base pay to nearly 20 percent since the 2013-14 school year. Allocates nearly $12 million to provide a permanent salary increase to veteran teachers with more than 25 years of experience. Directs an additional $22 million toward performance-based bonuses to top-performing 4th and 5th grade reading teachers and 4th-8th grade math teachers whose students achieve the most academic growth. Funds a 6.9 percent increase to the principal salary schedule, which will bring the total increase to principals’ base pay to 13.1 percent since the 2016-17 school year. Provides performance bonuses for principals whose students achieve the most academic growth. Under the agreement, principals could earn bonuses of up to $20,000 on top of their base salaries. Includes more than $28 million to provide a 2 percent pay raise to other school employees. Offers a 2 percent permanent salary increase for most state employees and a one-time cost-of-living supplement for retirees. Raises the minimum salary for all permanent, full-time state employees to at least $31,200. Funds a new pay plan for State Highway Patrol troopers that will raise starting pay to $44,000 and provide troopers a roughly eight percent average pay raise. The new plan will also accelerate the timeframe for a trooper to get to top pay to six years. Includes roughly $22 million to provide correctional officers working in state prisons a four percent salary increase. The budget also expand the covered population for the line of duty death benefit, and double the benefit’s value from $50,000 to $100,000, ensuring all families of the victims from recent prison attacks receive that benefit. Allocates $20 million for pay raises for public university employees and $24 million for community college employees. Increases funding for public education by nearly $700 million. Fully funds K-12, community college and public university enrollment growth. Provides $35 million for school safety initiatives, including new grant programs to support students in crisis, school safety training, safety equipment and youth mental health personnel. Fully funds the N.C. Promise Program, which guarantees in-state undergraduate students at three schools across the state pay just $500 per semester for tuition. Increases funding for Children with Disabilities Scholarship Grants by more than $3 million to reduce the waitlist. Provides over $18 million to add 3,525 new pre-K slots – and includes a plan to eliminate 100 percent of the state’s waitlist for at-risk children by 2021. Directs $60 million from the Medicaid Transformation Reserve to be used for start-up costs related to Medicaid Reform’s program design. Establishes LME-MCO solvency standards to strengthen the state’s mental health system. Appropriates $5 million for the new Broughton Hospital to add 85 beds and create up to 169 staff positions. Increases the Child Care Subsidy amount for children from ages birth through five so they have access to most child care centers in the most economically distressed counties. Child care subsidy rates are also increased for children ages 3 to 5 in Tier 3 counties. Reduces the Child Care Subsidy Waitlist by providing nearly $20 million in federal block grant funds to serve an estimated 3,700 additional children. Provides an additional $8.5 million from the Low-Income Energy Assistance block grant to help pay heating bills for the elderly and disabled populations. Sets aside $6 million for the construction of a new TROSA Facility (Triangle Residential Options for Substance Abusers, Inc.) in the Triad area and $1.4 million for a facility-based crisis center in Wilkes County. Funds the changes necessary to “raise the age” in North Carolina, ensuring 16- and 17-year olds suspected of misdemeanor offenses and less serious felonies will be tried as juveniles instead of adults by December 2019. Allocates $15 million for safety and security upgrades in state prisons. Provides funding to begin a multi-year project that will create an integrated e-Courts technology system. Establishes the “Criminal Justice Fellows” program to provide forgivable loans to aid in the recruitment of future law enforcement officers seeking an associate’s degree in Criminal Justice. Reduces the tax burden on North Carolina families and small businesses by cutting the personal income tax rate from 5.499 to 5.25 percent in 2019, and by increasing the amount of income that is exempt from state income tax. Lowers the corporate income tax rate from 3 percent to 2.5 percent in 2019, continuing the business tax reforms that have helped create more than half a million new jobs since Republicans took control of the state legislature in 2011. Enables a company that commits to investing at least $1 billion and creating at least 3,000 new jobs in North Carolina to be eligible for a transformative project award under the state’s Job Development Investment Grants (JDIG) program. Modifies the award that is available to large economic projects to make certain that the positive impact of those major job recruitments is felt by the entire state. Sets aside more than $10 million to provide access to clean drinking water for those impacted by GenX contamination and to fund the state’s efforts to address these emerging compounds and their threat to safe drinking water. Allocates more than $22 million for Farmland Preservation, the Clean Water Management Trust Fund and the Parks and Recreation Trust Fund. Provides funding to purchase dredging equipment to ensure valuable economic activity at the North Carolina coast can continue, with a potential economic impact of up to $500 million in Dare County alone. Designates over $3.5 million in match funding that will leverage an additional $15 million in federal funding to improve the state’s wastewater and drinking water infrastructure. Allocates $135 million for the Strategic Transportation Investments Program (STIP). Invests $50 million to fund immediate need construction projects across the state that improve mobility and safety, reduce congestion and spur economic development. Includes $104 million for a Roadside Environmental Fund dedicated to ensuring the safety and beautification of the state’s highways. Aims to make government operations more efficient by investing in a fully-consolidated statewide Enterprise Resource Planning system. Funds needed improvements to the Coastal Carolina Veterans’ Cemetery. Adds $155 million for capital projects and $65 million to make needed repairs and renovations to state and university facilities. 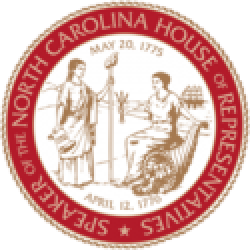 The full budget compromise bill will be posted to the North Carolina General Assembly website at www.ncleg.net on Monday evening.